In a series of posts you will find here, I illustrate how the principles on which Tandana is founded play out in concrete application through discussions of my own experiences as well as those of community members and volunteers who have worked with Tandana. We see how reaching out to others with a personal approach leads, both in theory and in practice, to a world that is, incrementally, more peaceful and more just. This personal approach could serve not only as impetus for one organization’s work but also to transform the character and effects of other groups seeking right relationship with others. This is the first in a series of 10 posts that will give insight into both the philosophical reasons and the concrete effects of reaching out to others with a personal approach. “Development” as a concept and a project has many problems. Wolfgang Sachs has even declared it time to “write its obituary,”1 and if his pronouncement is slightly premature it also highlights the untenable nature of the frameworks that justified the concept of development. The idea of a teleological progression of all societies toward a particular endpoint that happened to look like “the First World” was unfounded and has also served to justify massive interventions that have harmed many people. Nevertheless, there is much good work to be done that, from the outside, looks very much like development. Simply washing one’s hands of “neocolonial encounters” and seeking isolation is not an appropriate response; we are all implicated in global networks no matter what we do, so we might as well try to interact with our neighbors in other countries in positive ways. The Tandana Foundation is one organization doing work that might be called “development,” while stating clearly that it is not interested in “imposing a developmentalist worldview.”2 In the absence of the traditional justifications for the development project, why do this kind of work? It turns out that a personal orientation, combined with a willingness to reach out to communities of different cultures, economic situations, and lifestyles, can lead to work that appears similar to “development,” although it is animated by a very different spirit. The moral obligations of personal interactions lead to sharing, respect, and responsibility. Meaningful action and live encounters have unpredictable outcomes, which make promise keeping and forgiveness important. Experiencing inequalities and difference leads to self-reflection and greater awareness of what it is to be human. Sharing and forgiveness result in experiences of gratitude, which in turn lead to caring and a desire to maintain the relationships with the people we care about. All of these values result in greater compassion, greater wisdom, and the formation of caring, respectful, responsible intercultural relationships. These relationships are the foundation and guide for The Tandana Foundation’s work. 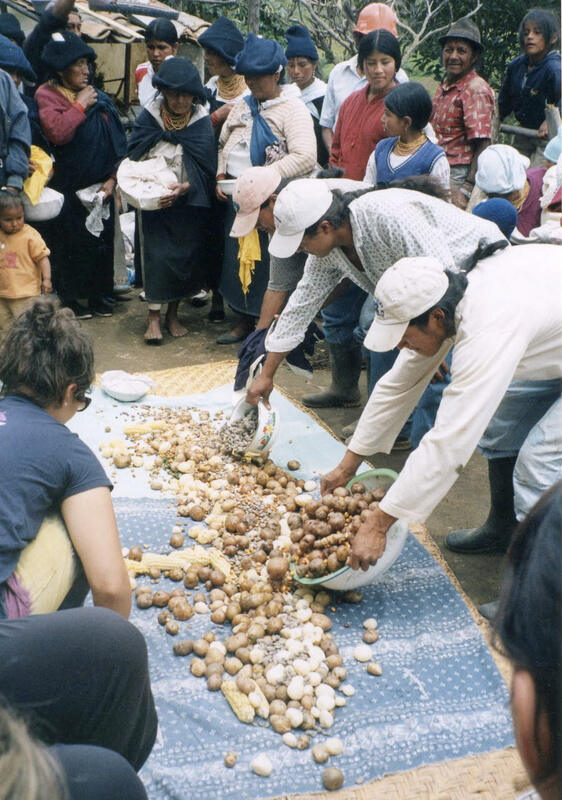 As a result, the projects and programs that Tandana participates in are collaborative, organic, and able to transform lives in positive ways. There are, of course, biographical as well as philosophical reasons for The Tandana Foundation’s existence. As a privileged teenager from suburban Ohio, I had the opportunity to go on a safari in Kenya. Rather than the animals, what captivated my attention was the ethical dilemma of how to be in right relation to people who were so different from me in access to resources and in culture. I encountered, in a close and personal way, both vast inequalities and pluralism of moral systems and values. Feeling uncomfortable in my relation as tourist, I resolved to seek a relationship that seemed more fitting to people who were quite different from me. 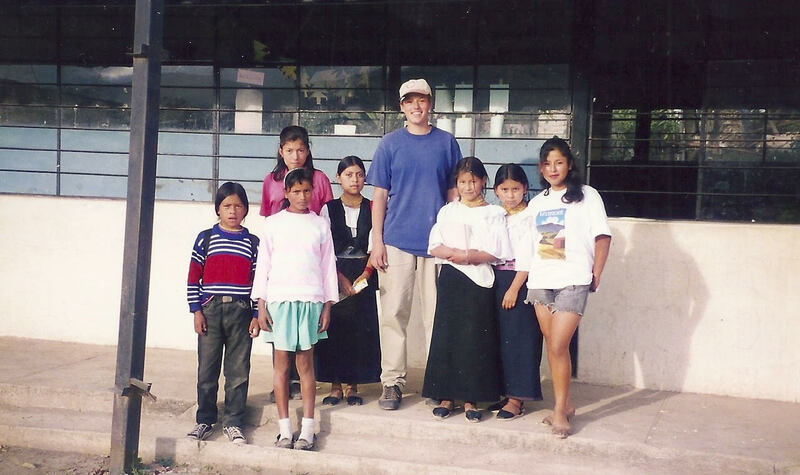 In order to attempt to learn about the possibilities of such a relationship, after graduating from high school, I signed up as a volunteer to teach in an elementary school in rural Ecuador. While I was there, I developed close relationships with members of the family that hosted me and with friends in the community. 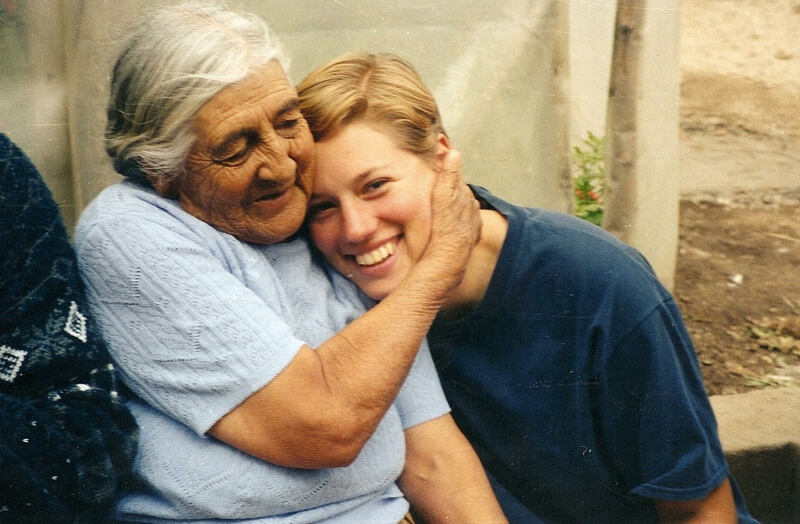 Wanting to honor those relationships and be responsible in them, I kept in touch and returned for later visits. 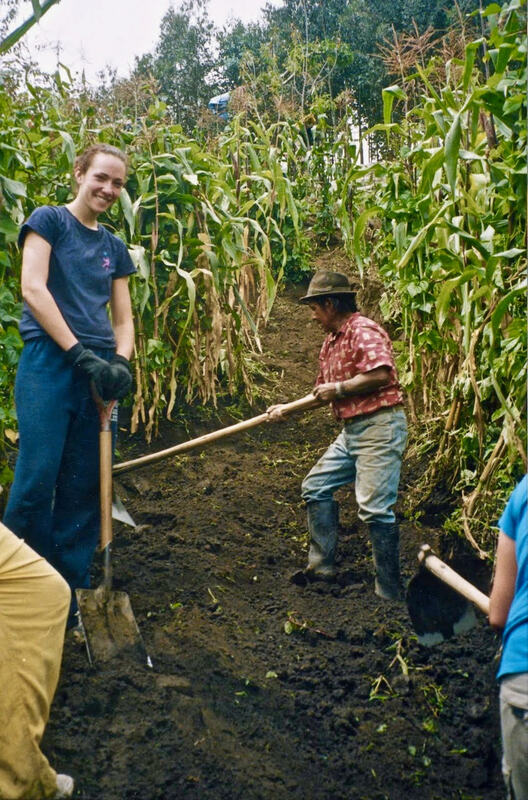 As a teacher and experiential educator, I had several opportunities to arrange joint activities for students from the United States and friends in rural Ecuador and found these interactions to be very positive learning experiences for all involved. 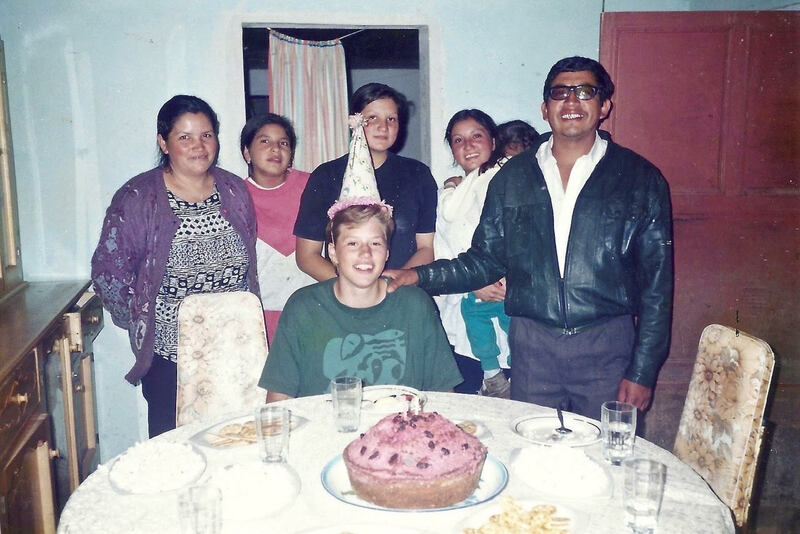 At the same time, I saw that the students I had taught when I had first been in Ecuador were taking two very different trajectories. Some were in high school and told me of their plans to go to universities and start their own businesses or become leaders in their region. Others were married and having children, not having had the opportunity to attend secondary school, although they would have liked to. 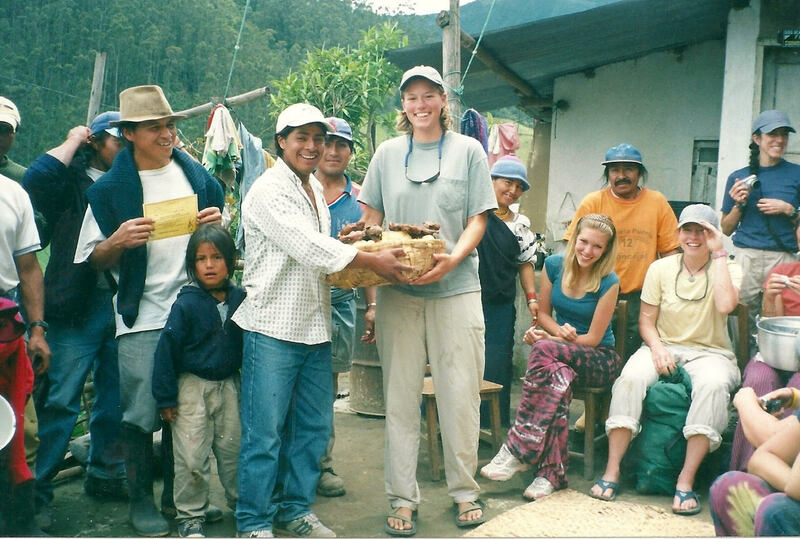 I decided to start The Tandana Foundation to make possible learning opportunities, both intercultural ones where visitors from the United States and local community members could share experiences and institutional ones through scholarships for Ecuadorean students. Around the same time, I wanted to learn about another cultural world that was totally unfamiliar to me and decided to go to Mali. Through a friend of a friend, I found a contact in Bandiagara, who invited me to stay with his family. Eventually I became connected with several villages and local leaders and decided to collaborate with them on some of the projects they were determined to undertake. Over time, neighboring communities saw what the first ones were accomplishing in partnership with Tandana and asked for the foundation’s support for their initiatives as well. Sachs, Wolfgang “Introduction,” in The Development Dictionary, ed. Wolfgang Sachs (London: Zed Books, 1992). 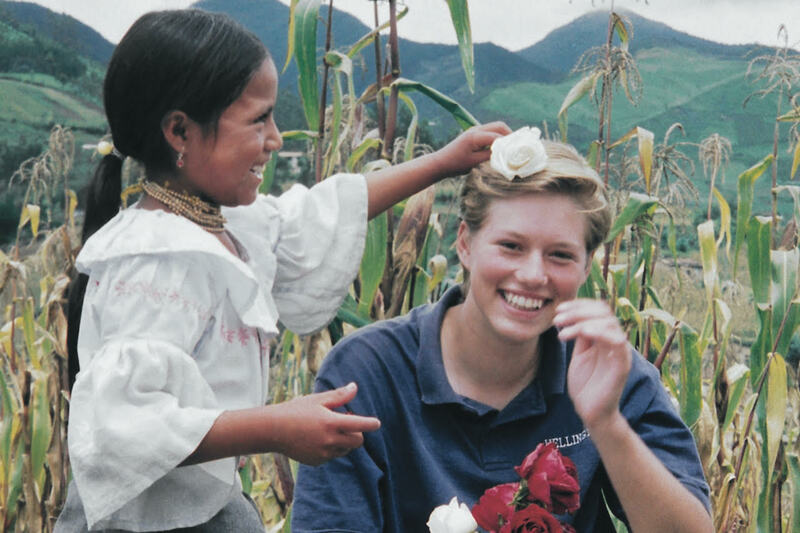 The Tandana Foundation “Mission & Values,” accessed June 16, 2018, (tandanafoundation.org/mission_and_values.html). En una serie de publicaciones que encontrará aquí, ilustre cómo los principios en los que se basa Tandana se llevan a cabo en una aplicación concreta a través de discusiones sobre mis propias experiencias y las de los miembros de la comunidad y voluntarios que han trabajado con Tandana. Vemos cómo llegar a otros con un enfoque personal conduce, tanto en la teoría como en la práctica, a un mundo que es, de manera incremental, más pacífico y más justo. Este enfoque personal podría servir no solo como un impulso para el trabajo de una organización, sino también para transformar el carácter y los efectos de otros grupos que buscan una relación correcta con los demás. Este es el primero de una serie de 10 publicaciones que dará una idea de las razones filosóficas y los efectos concretos de acercarse a los demás con un enfoque personal. El “desarrollo” como un concepto y un proyecto tiene muchos problemas. Wolfgang Sachs ha declarado incluso que es el momento de “escribir su obituario,”1 y si su dictamen es un poco prematuro también destaca lo insostenible de la naturaleza de los marcos de referencia que justifica el concepto de desarrollo. La idea de una progresión teleologica de todas las sociedades hacia un determinado punto final que pasó a verse como “el Primer Mundo” era infundado y también ha servido para justificar intervenciones masivas que han perjudicado a muchas personas. Sin embargo, hay mucho trabajo por hacer que, desde fuera, se ve muy parecido al desarrollo. Un simple lavado de manos de “encuentros neocoloniales” y la busca del aislamiento no es una respuesta apropiada; todos estamos implicados en redes globales, no importa lo que hagamos, así que también podríamos tratar de interactuar con nuestros vecinos en otros países en forma positiva. La Fundación Tandana es una organización haciendo un trabajo que podría ser llamado “el desarrollo”, mientras que indica claramente que no está interesada en “la imposición de una visión desarrollista del mundo.”2 En la ausencia de la justificación tradicional para el desarrollo del proyecto, ¿por qué hacer este tipo de trabajo? Resulta que una orientación personal, combinada con una voluntad de llegar a las comunidades de diferentes culturas, situaciones económicas y estilos de vida, puede llevar a trabajar lo que parece similar al “desarrollo”, a pesar de que se este animado por un espíritu diferente. Las obligaciones morales de las interacciones personales llevan a compartir, respetar y ser responsable. La acción significativa y vivir encuentros tienen resultados impredecibles, que hacen mantener la promesa y el perdón importante. Experimentar las desigualdades y la diferencia nos lleva a la auto-reflexión y conciencia de lo que es el ser humano. El compartir y el perdón resultan en experiencias de gratitud, que a su vez conducen a cuidar el deseo de mantener las relaciones con las personas que nos importan. Todos estos valores resultan en una mayor compasión, mayor sabiduría, y la formación de cariño, respeto, y relaciones interculturales responsables. Estas relaciones son el fundamento y la guía para la labor de la Fundación Tandana. Como resultado, los proyectos y programas en los que Tandana participa son colaborativos, orgánicos, y capaces de transformar vidas de manera positiva. Hay, por supuesto, razones tanto filosóficas como biográficas para la existencia de La Fundación Tandana. Como adolescente privilegiado de los suburbios de Ohio, tuve la oportunidad de ir a un safari en Kenia. Mas que los animales, lo que cautivó mi atención fue el dilema ético de cómo estar en una relación correcta con las personas que eran tan diferentes a mí en el acceso a los recursos y a la cultura. Me encontré, de forma muy cerca y personal, en las enormes desigualdades y el pluralismo de los sistemas morales y valores. Sintiéndome incómodo en mi relación como turista, me decidí a buscar una relación que parecía más apropiada para las personas que eran muy diferentes de mí. En un intento de aprender acerca de las posibilidades de tal relación, después de graduarme del colegio, me inscribí como voluntario para enseñar en una escuela primaria en las zonas rurales del Ecuador. Mientras yo estaba allí, desarrolle relaciones estrechas con los miembros de la familia que me acogió y con amigos en la comunidad. Queriendo honrar esas relaciones y ser responsable de ellos, me mantuve en contacto y regreso para visitarlos. Como maestro educador experimental, tuve varias oportunidades de organizar actividades conjuntas para los estudiantes de Estados Unidos y amigos en las zonas rurales de Ecuador y encontré estas interacciones y experiencias muy positivas en el aprendizaje para todos los involucrados. Al mismo tiempo, vi que a los estudiantes que les había enseñado la primera vez cuando había estado en Ecuador iban tomando caminos diferentes. Algunos estaban en el colegio y me hablaron de sus planes para ir a las universidades e iniciar sus propios negocios o de convertirse en líderes en su región. Otros estaban casados y teniendo hijos, no habian tenido la oportunidad de asistir al colegio, aunque les hubiera gustado. Me decidí a empezar La Fundación Tandana para hacer posible oportunidades de aprendizaje tanto interculturales, donde los visitantes de Estados Unidos y miembros de la comunidad podían compartir experiencias, como institucionales, a través de becas para estudiantes Ecuatorianos. Alrededor del mismo tiempo, quería aprender acerca de otro mundo cultural que era totalmente desconocido para mí y decidí ir a Mali. A través de la amiga de una amiga, encontré un contacto en Bandiagara, que me invitó a quedarme con su familia. Con el tiempo me fui conectando con varios pueblos y líderes locales y decidimos colaborar con ellos en algunos de los proyectos en los que estaban decididos llevar a cabo. A lo largo del tiempo, comunidades de vecinos vieron lo que los primeros estaban logrando en colaboración con Tandana y pidieron el apoyo de la fundación para sus iniciativas. Seguir para la Parte 2: La orientación en primera persona y llegando a otros. Dans une série d’articles que vous trouverez ici, j’illustrerai comment les principes sur lesquels Tandana est fondée se concrétisent par des discussions sur mes propres expériences ainsi que sur celles de membres de la communauté et de bénévoles qui ont travaillé avec Tandana. Nous voyons comment le fait de s’approcher aux autres avec une approche personnelle conduit, à la fois en théorie et en pratique, à un monde de plus en plus pacifique et plus juste. Cette approche personnelle pourrait non seulement servir d’élan au travail d’une organisation, mais aussi transformer le caractère et les effets d’autres groupes à la recherche de bonnes relations avec les autres. Il s’agit de la première d’une série de 10 publications qui donneront un aperçu à la fois des raisons philosophiques et des effets concrets de la prise de contact avec une approche personnelle. Le «développement» en tant que concept et projet a de nombreux problèmes. Wolfgang Sachs a même déclaré qu’il était temps de «rédiger sa notice nécrologique»1, et si son opinion est un peu prématurée, il souligne aussi le caractère insoutenable des cadres de référence qui justifie le concept de développement. L’idée d’une progression téléologique de toutes les sociétés vers un certain point de vue qui devait être considéré comme «le Premier Monde» n’était pas fondée et a également servi à justifier des interventions massives qui ont porté préjudice à de nombreuses personnes. Cependant, il y a beaucoup de travail à faire que, de l’extérieur, il ressemble beaucoup au développement. Un lavage simple des mains des «rencontres néocoloniales» et la recherche de l’isolement n’est pas une réponse appropriée; nous sommes tous impliqués dans des réseaux mondiaux, peu importe ce que nous faisons, de sorte que nous pouvons aussi chercher à interagir avec nos voisins dans d’autres pays d’une manière positive. La Fondation Tandana est une organisation qui fait un travail qui pourrait être appelé «développement», tout en indiquant clairement qu’elle n’est pas intéressée par «l’imposition d’une vision développementale du monde».2 En l’absence de la justification traditionnelle pour le développement, pourquoi faire ce type de travail? Il se trouve qu’une orientation personnelle, combinée avec une volonté d’approcher aux communautés de cultures différentes, les situations économiques et les modes de vie, peut donner lieu à un travail qui semble similaire à celui du “développement”, malgré le fait qu’il est animé par un esprit différent. Les obligations morales des interactions personnelles mènent à partager, à respecter et à la responsabilité. L’action significative et des rencontres vivantes ont des résultats imprévisibles, qui gardent la promesse et le pardon important. L’expérience des inégalités et des différences nous conduit à l’auto-réflexion et à la conscience de ce que sont les êtres humains. Le partage et le pardon se traduisent par des expériences de gratitude, qu’au même temps conduit à prendre le désir de maintenir les relations avec les gens qui nous intéressent. Toutes ces valeurs aboutissent à une plus grande compassion, à une plus grande sagesse et à la formation de soins, de respect et de relations interculturelles responsables. Ces relations sont la base et la guide pour le travail de la Fondation Tandana. En conséquence, les projets et programmes auxquels Tandana participe sont collaboratifs, organiques et capables de transformer des vies de manière positive. Il y a, bien sûr, des raisons à la fois philosophiques et biographiques pour l’existence de la Fondation Tandana. Comme adolescent privilégiée de la banlieue de l’Ohio, j’ai eu l’occasion de faire un safari au Kenya. Plus que les animaux, ce qui a captivé mon attention a été le dilemme éthique de la façon d’être dans une relation juste avec les gens qui étaient si différents de moi dans l’accès aux ressources et à la culture. Je me suis rencontré, de forme très proche et personnel, dans les énormes inégalités et au même temps le pluralisme des systèmes moreaux et les valeurs. Comme je me sentais mal à l’aise dans ma relation en tant que touriste, j’ai décidé de chercher une relation qui semblait plus appropriée pour les gens qui étaient très différents de moi. Dans une tentative d’apprendre sur les possibilités de telle relation, après avoir obtenu mon diplôme de l’école secondaire, j’ai signé comme volontaire pour enseigner dans une école primaire dans les zones rurales de l’Équateur. Pendant que j’étais là, j’ai développé des relations étroites avec les membres de la famille qui m’ont accueilli et avec des amis dans la communauté. Je voulais honorer ces relations et être responsable d’eux, je suis resté en contact et je suis retourné pour rendre visite. En tant qu’enseignante et éducatrice expérimentale, j’ai eu plusieurs occasions d’organiser des activités conjointes pour les étudiants des États-Unis et les amis dans les zones rurales de l’Équateur et j’ai trouvé ces interactions et ces expériences très positives dans l’apprentissage pour tous les participants. Au même temps, j’ai vu des élèves que j’avais enseigné la première fois que j’étais en Équateur prenaient deux chemins différents. Certains étaient au lycée et ils m’ont parlé de leurs plans pour aller à la université et démarrer leurs propres entreprises ou devenir des leaders dans leur région. D’autres étaient mariés et avaient des enfants, n’avaient pas eu l’occasion de fréquenter l’école secondaire, bien qu’ils l’auraient souhaité. J’ai décidé de commencer à la Fondation Tandana pour créer des opportunités d’apprentissage interculturel, où des visiteurs des États-Unis et des membres de la communauté pourraient partager leurs expériences et aussi institutionnelles grâce aux bourses pour des étudiants équatoriens. Vers la même époque, je voulais me renseigner sur un autre monde culturel qui a été complètement inconnu pour moi et j’ai décidé d’aller au Mali. Grâce à l’amie d’une amie, j’ai trouvé un contact à Bandiagara, qui m’a invité à rester avec sa famille. Avec le temps, je suis devenu connecté avec plusieurs villages et dirigeants locaux et j’ai décidé de collaborer avec eux dans certains projets qu’ils étaient déterminés à mener à bien. Au fil du temps, les communautés voisins ont vu ce que les premières faisaient en collaboration avec Tandana et ont demandé l’appui de la fondation pour leurs initiatives aussi. Suivre pour la deuxieme partie: l’orientation personnelle y la fraternité.